It is with great sadness that we have learned about the shooting down of a Malaysian airliner allegedly by terrorists with 298 people on board over eastern Ukraine. Hundreds of victims of military aggression against Ukraine were joined by the innocent lives of the citizens of other nations, including from your country. This tragedy has revealed that evil, which has been severing the body of our nation in recent months, is a real threat to the peace and security of the whole world. Our entire Church prays for the eternal repose of the souls of the innocently killed. We remain united in our prayers with the families of the deceased and with all those suffering due to this tragedy. We call upon the international community to employ all possible means to stop military aggression against Ukraine, to restore peace, and to prevent similar tragedy in the future. 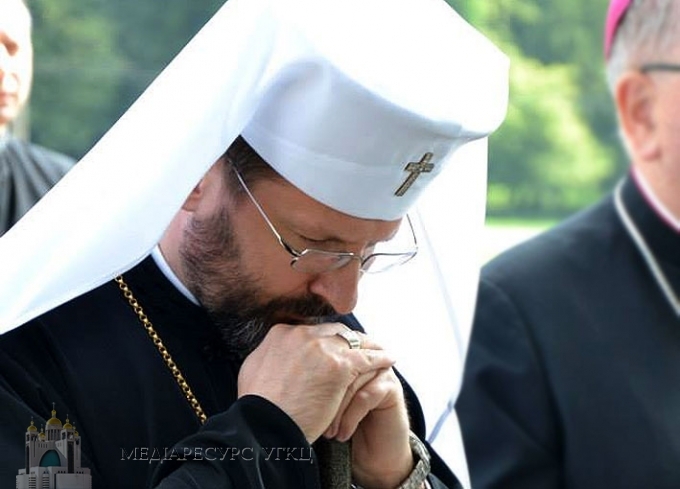 Let us pray to Almighty God to grant the gift of lasting peace for Ukraine and for the entire world.